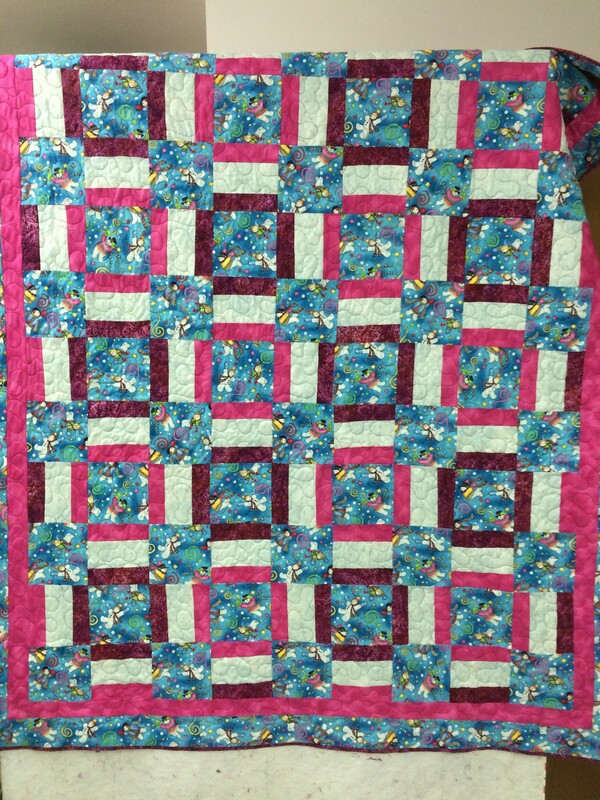 “Warm wishes” has been completed. 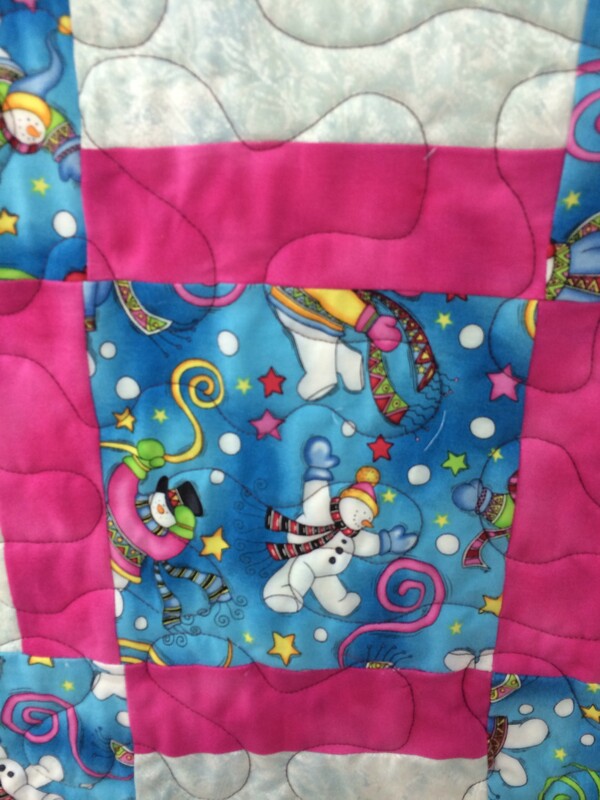 The quilting is quite simple but looks nice on it. Mary and I spent the afternoon at the sewing center learning about the new machines and other products and we came home empty handed! Tomorrow I will be back to finishing the grapes. After using all our will power to keep from making a purchase, I was just too tired tonight to finish them.